This document is a complete view on the LSMW 0470 Object with 0000 Method. Please note that the structure in the system is defined on 72 CAR for the Long text (STR_TEXT-TEXT) description but you must set it at 40. Please note again : Even if the IBIPTEXT-TXLINE is a 72 CAR you must map it with a 40 CAR field. And the last tip is the processing mode : ==> Call Transaction. If you have any questions regarding the Maintenance LSMW Objects. I will be available to answer it ASAP. Will be useful to many. Keep sharing your knowledge. Also, Congratulations on your first Document (Blog). Thank You Jogeswara, I learned sharing from you. Its really very true that there are very rare threads on LSMW with direct input method.The information which you share is really very important,useful and appreciable and its really going to help a lot for me and others team member.Keep it up…. Based on your documents I successfully created the LSMW for tcode IA01 using the direct input.Thanks a tonne for your efforts. I’m very happy to hear it from you 🙂 . I need to update longtext for operations in task list. 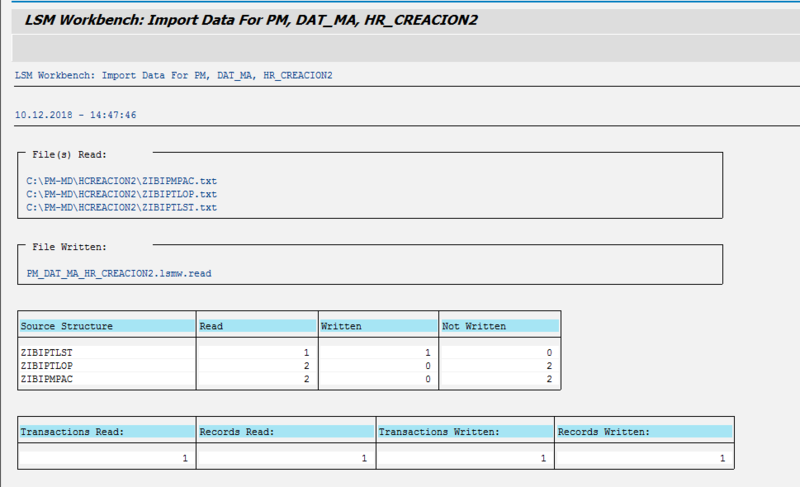 LSMW (Recording/IBIP–Change mode Is Not available in STD SAP ) can not help you In this case. What value to pass for TL_IDENTIFICATION and OP_IDENTIFICATION. Thanks a lot boss. Your post is very much helpful and will be in future as well to many consultants. Through your post I learnt how the direct input method lsmws work with multiple hierarchial file structure. Thankyou very much. Is it possible to contact you to get more info on your post above? There must be something wrong durign convertion as the above screen should look different.Hierarchy and Structure columns should be filled in with data but those are empty. And first 4 records from header and operation file. LOSBS value is not read so doe snto matter. 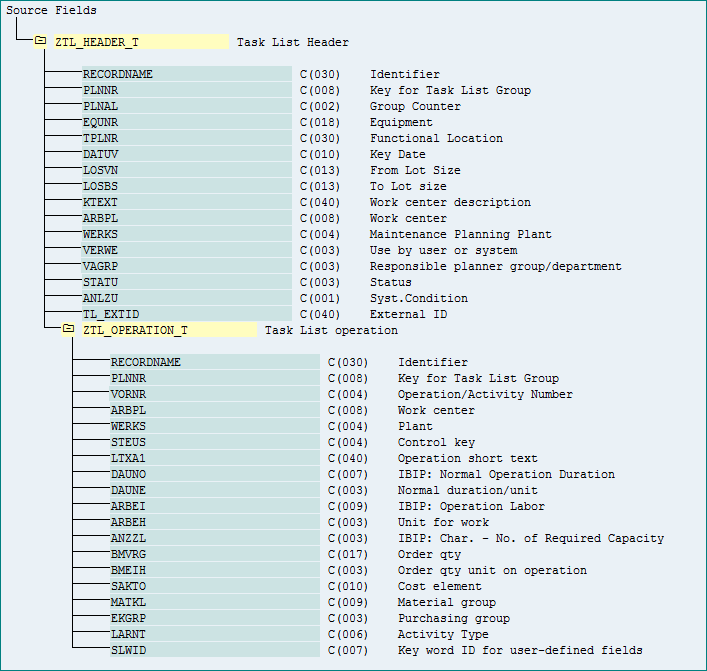 And is it possible to update operations in existing Task List via same LSMW? Did you try to investigate if the missing Operation identifier field is the reason for the failure. I have the same problem, did you resolve your issue? If yes, how? I resolved this issue, see inserted picture. Also here are links that helped me. Very well written document on Task List LSMW. It was very helpful.